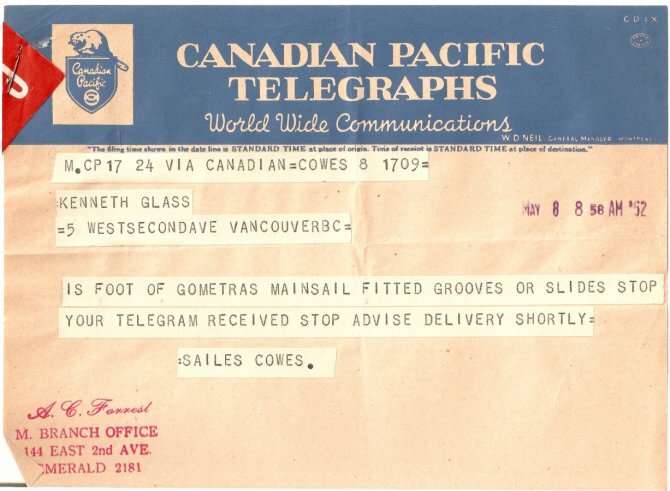 Gometra first appearance in the popular British register, it turns out that he had from the start a paraffin engine. 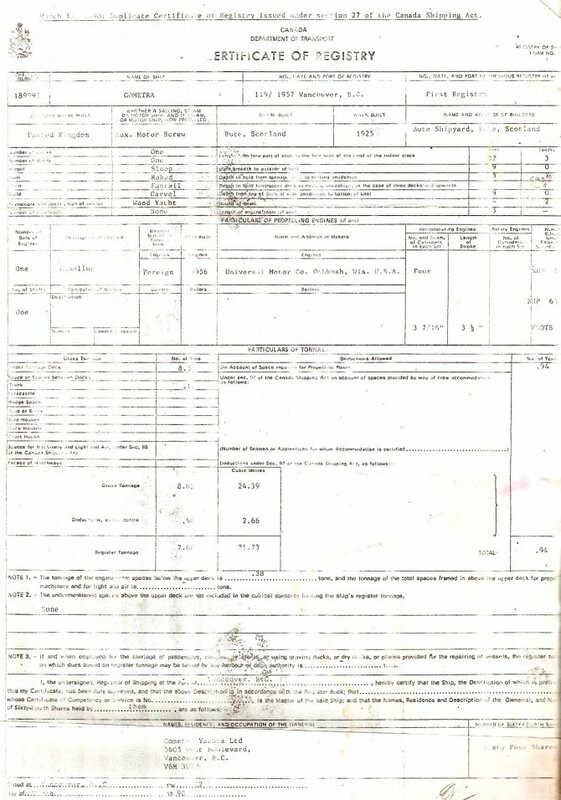 Gometra appears again on Lloyd's Register of Yachts in 1934 owned by William Blaine Luard, her second owner. 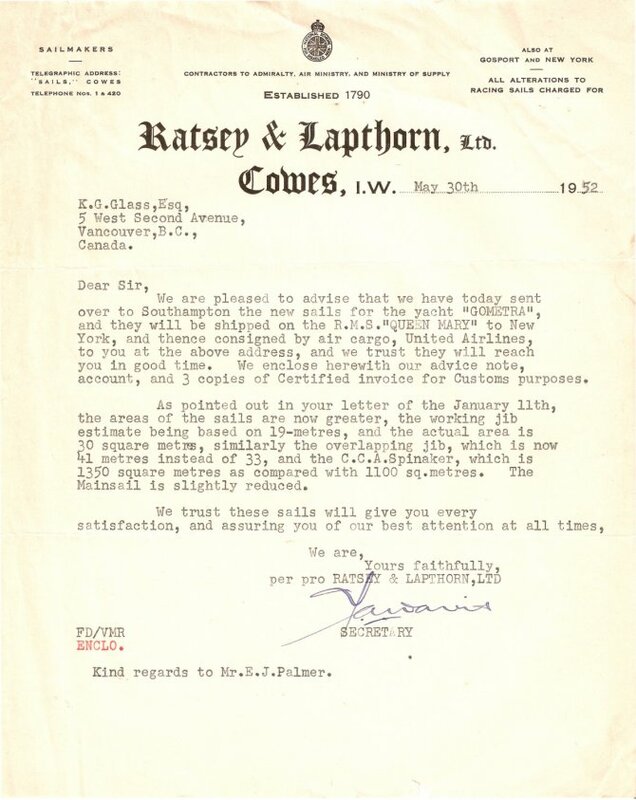 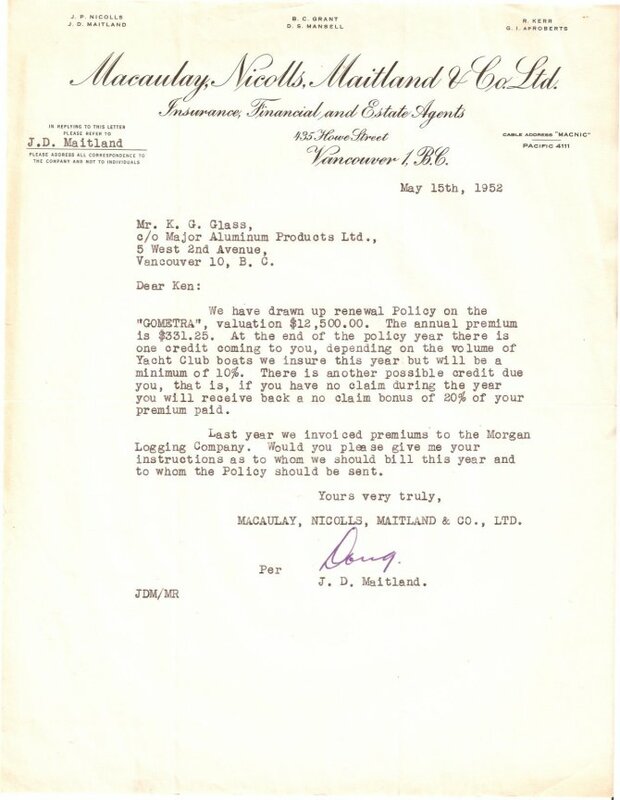 Letter from the study Macaulay Nicolls, Maitland & Co., Ltd, which provides owners prior to the insurance policy in 1952. 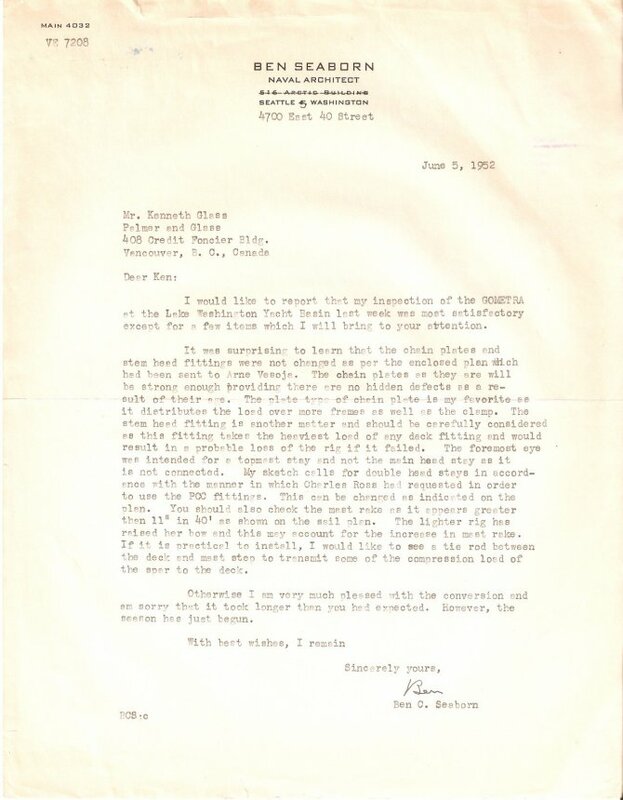 Letter of correspondence between the shipowners Kenneth Glass and Elmer Palmer and Naval Architect from Seattle Ben Seaborn on the change of Gometra's rig. 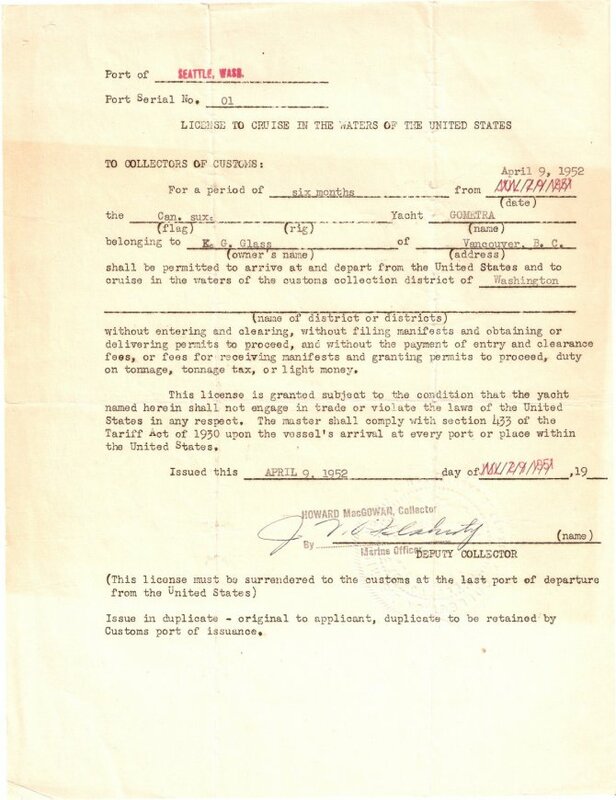 Original navigation license for six months granted to the owners of Gometra in 1952, probably due to the need to take the boat to Seattle to work for the new rig. 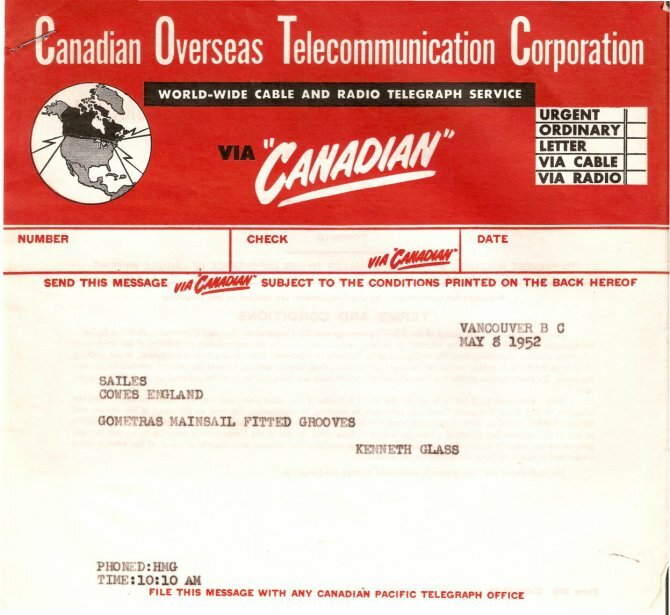 This is the certificate of Canadian registry with all the details of the boat dating back to 1957.